ISTM.es is, at the moment, just a short URL service for the main site of SpaceHighway. If you have reached this page to download the newest SpaceHighway: The Awakened chapters: Please login into your Patreon account and visit SpaceHighway's Patreon page. read the free chapters online. ISTM is the leading interstellar transport association based on Gaia. SpaceHighway The Awakened is a Sci-Fi serialized story following Kira Matsumoto, an Awakened, through the vast universe at the helm of his space-truck Falcon. For more information, visit SpaceHighway.ms, the main site where you can read the free chapters. 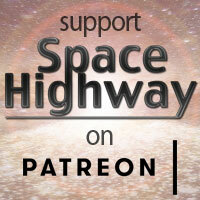 The SpaceHighway project is financed via Patreon, if you like the story and want to support it, you are invited to visit the SpaceHighway Patreon page. 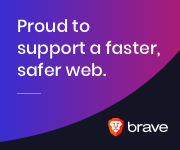 Use the Brave Browser to support the project. 2004-2019 by Siggy Simon Jr. All Rights reserved. The SpaceHighway series, its content and web pages were made and designed on the planet Gaia (Earth) at ±8,6 kpc/lgc, Human-Gaian Sol system, Orion-Cygnus arm, Gould Belt, Milky Way Galaxy, Virgo Supercluster at the Pisces-Cetos complex. Made by and with on a , using and . Tested on . Background Credit: ESO/IDA/Danish 1.5 m/ R. Gendler, J-E. Ovaldsen, C. Thöne, and C. Feron.